We would love for you to join us on our Dream Destination Wedding at Beaches Turks & Caicos. Our wonderful Destination Wedding Consultant will contact you. Dream Makers Vacation Services Use confirmation number 194143. 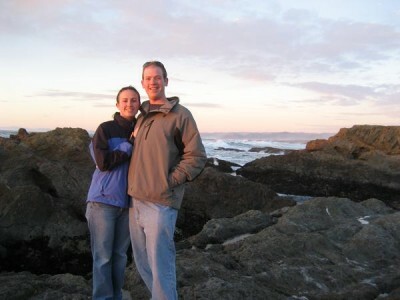 How we met: Ryan and I met in the Fall of 2001. We were both working at Best Buy in Tallahassee. We became great friends and hung out for almost a year. We had a weekend off together and drove to Miami to see some family. In the middle of that trip we started dating August 2nd, 2002. How we got engaged: We had been dating for almost 6 years when Ryan and I made our way to Arizona for Ryan's annual "surprise Jen" trip. 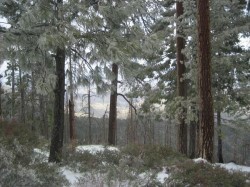 We were in Tucson, and on the first day there Ryan took me to the top of Mount Lemmon where it was snowing! We played in the snow and made snow angels while taking in the view. After taking some pictures, I turned around to find Ryan on one knee! Obviously I said yes, and here we are! This is the picture I took right before he proposed. Our Wedding: We both decided that a small affair was perfect for us - we didn't want the 300 guest see everyone for 30 second wedding day. We both wanted to be able to enjoy time with our closest friends and family on our special day. Our plan is simple: a vacation with friends and family in which we get married. 15-20 people max. We are both excited for this day to finally arrive!